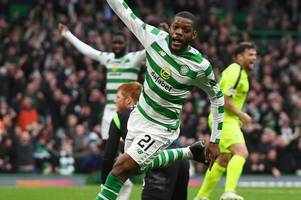 Loads of Celtic fans have been running the rule over Wednesday’s action, and they’ve got loads to say about the performance of Olivier Ntcham. 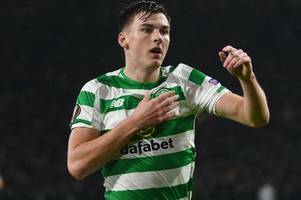 Kieran Tierney and Olivier Ntcham are among those still not fit enough to make the team as Celtic head to Spain. 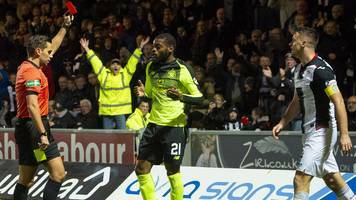 The Honduran left-back is in contention but midfielder Olivier Ntcham is out again. These Celtic fans want Oliver Burke to sign a permanent deal with the club. “Olivier Ntcham will hopefully be back towards the weekend, he has been training all week,” the Celtic boss told BT Sport. 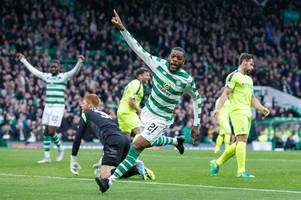 “It was brilliant to have Dedryck Boyata back, it is a plus having him.. 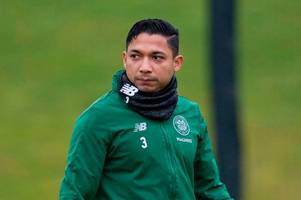 The Hoops gaffer also revealed Emilio Izaguirre's injury isn't as bad as first feared. The pair are on the injury list and Rodgers also revealed Tom Rogic is out for six weeks. 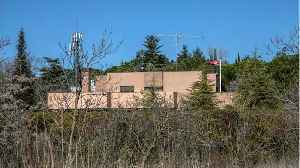 The 22-year-old was reportedly the Portuguese side's top target but they have balked at financial demands. Olivier Ntcham and Odsonne Edouard joined Tierney on the sidelines as the Hoops beat Airdrie. Celtic have already completed three signings but it appears their January business is not done. Scotland’s reigning champions are expected to wrap up a deal for young American Andrew Gutman over the..
Tottenham should definitely get involved in the race for Celtic midfielder Oliver Ntcham, as they look to replace Mousa Dembele in midfield. 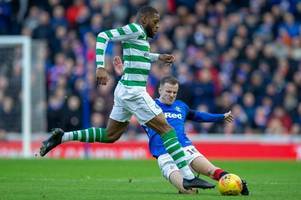 Celtic midfielder Olivier Ntcham is reportedly a January target for FC Porto who are ready to give the Bhoys Chancel Mbemba as part of any deal, and Brendan Rodgers should accept and kill two birds..
Celtic have been busy in the transfer window this month as they prepare for their title run-in with Rangers. The Hoops have already signed Timothy Weah and Oliver Burke on loan, as well as completing a..
Porto consider new bid for Celtic midfielder, Charlton forward linked with Rangers and Hibs' loan signing has massive release clause. Portuguese giants are set to bid their time over the French midfielder. The 27-year-old reckons it was vital for someone in the Rangers team to put in that tackle in the early stages. The Frenchman was travelling with team-mate Odsonne Edouard when his Range Rover crashed with a Volvo. 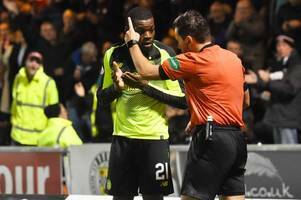 Loads of Celtic fans have been running the rule over Saturday’s defeat at Ibrox, and they’re absolutely furious with the performance of Olivier Ntcham. 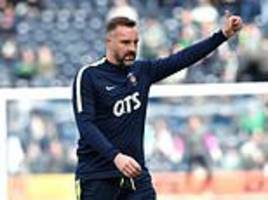 In the latest Record Celtic Podcast, Andrew Bargh and Anthony Haggerty discuss what the midfielder needs to do to get back in the starting XI. Did Rodgers and Lawwell make a catastrophic Celtic mistake in November? 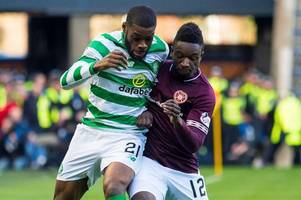 Celtic handed midfielder Olivier Ntcham a new four-year contract in November, but given his disappointing form this season and his display against Hibernian on Sunday, have Brendan Rodgers and Peter..
Rodgers feared the Frenchman would follow countryman Moussa Dembele through the exit door. The French midfielder is back available following a hamstring injury and Scott Brown and Leigh Griffiths could also feature. The Frenchman loves a laugh and one player more than most helps him raise a smile. The France Under-21 star has withdrawn from the squad that face Croatia and Spain. The midfielder was never tempted to follow pal Moussa Dembele out the Parkhead exit door. 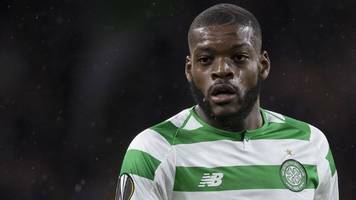 Olivier Ntcham has signed a new four-year deal which will see him remain at Celtic until at least the summer of 2022. The post Key Celtic star pens new long-term Parkhead contract appeared first on..
BBC Local News: Glasgow and West Scotland -- Celtic midfielder Olivier Ntcham signs a new four-year contract tying him to the club until 2022. 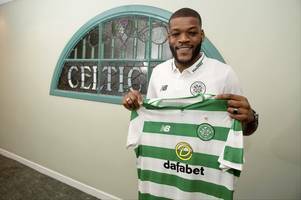 Olivier Ntcham has signed a new deal with Celtic to keep him at Parkhead until 2022, the Scottish Premiership champions have confirmed. The midfielder signed from Genoa in the summer of 2017, making 68.. The midfielder will stay at Celtic Park until 2022. Rodgers must bring quality 22-year-old back into Celtic starting line-up vs RB Leipzig - agree? 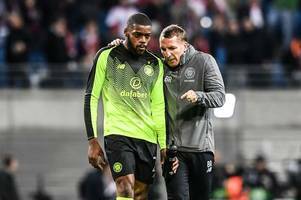 Should Olivier Ntcham start for Celtic against RB Leipzig on Thursday night? The three players have been suffering from injuries but will any of them feature against Dundee on Wednesday? 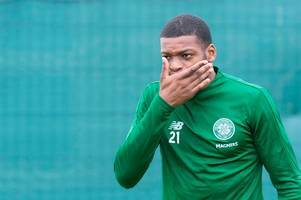 Aberdeen 'will not' demand 50% of the tickets for the League Cup final, as Olivier Ntcham sends a warning to Celtic's rivals. The French star also reflected on how the Hoops' squad depth helped them see off Hearts on Sunday. Celtic captain Scott Brown is reportedly an ambitious transfer target for Australian side Western Melbourne, but the Bhoys need to keep their skipper because of the poor form of Olivier Ntcham. 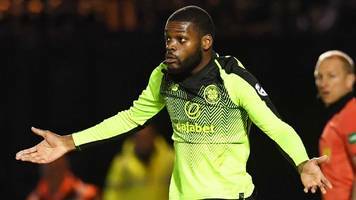 West Ham United were linked with a move for Celtic midfielder Olivier Ntcham during the summer, and they should be relieved they didn't get him considering he has been slated by his own supporters in..
Olivier Ntcham, who was subject of a failed bid from Porto in the summer, is one player highlighted in the hard-hitting claims from Kris Boyd. 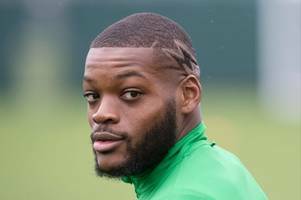 Kris Boyd last night claimed there is a split in the Celtic dressing room - and insisted Olivier Ntcham has not been the same player since being denied a big-money move to Porto. Loads of Celtic fans have been giving their verdict on the defeat at Kilmarnock, and they’re pleasantly surprised by the performance of Youssouf Mulumbu. Loads of Celtic fans have been reacting to their win over Rosenborg, and they are not too happy with the performance of Olivier Ntcham. The Frenchman will is out of the Rugby Park clash after being sent off against St Mirren last week. 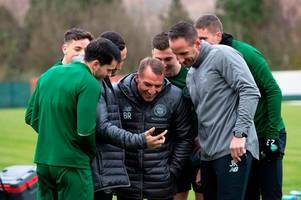 Loads of Celtic fans have been discussing a possible team change for the clash against Rosenborg, and a whopping 86 per cent want Brendan Rodgers to hand Youssouf Mulumbu his firs start. 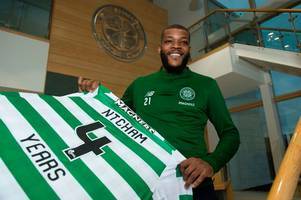 Celtic must hand first start to recent signing to get Ntcham firing vs Rosenborg - agree? 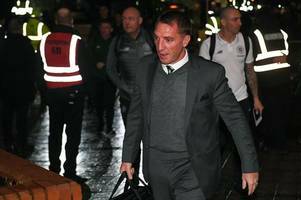 Celtic open their Europa League campaign against Rosenborg on Thursday, but is it time for Brendan Rodgers to hand Youssouf Mulumbu his first start? Brendan Rodgers said "it wasn't one of their better games" for officials as 10-man Celtic were held by St Mirren. 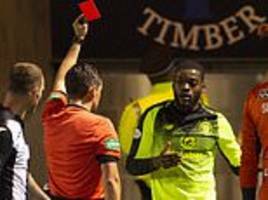 Rodgers was not impressed with the ref after the French midfielder was dismissed in the 0-0 draw with St Mirren. Five games into a new league season St Mirren begun to bear the look of the haunted. The fresh glow of promotion gone, an opening day win over Dundee had begun to feel like a mirage. 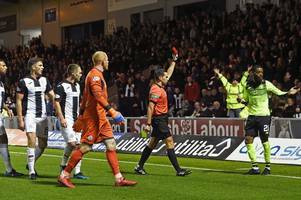 St Mirren give new manager Oran Kearney a precious point as Celtic have to settle for a draw after Olivier Ntcham's first-half red card.